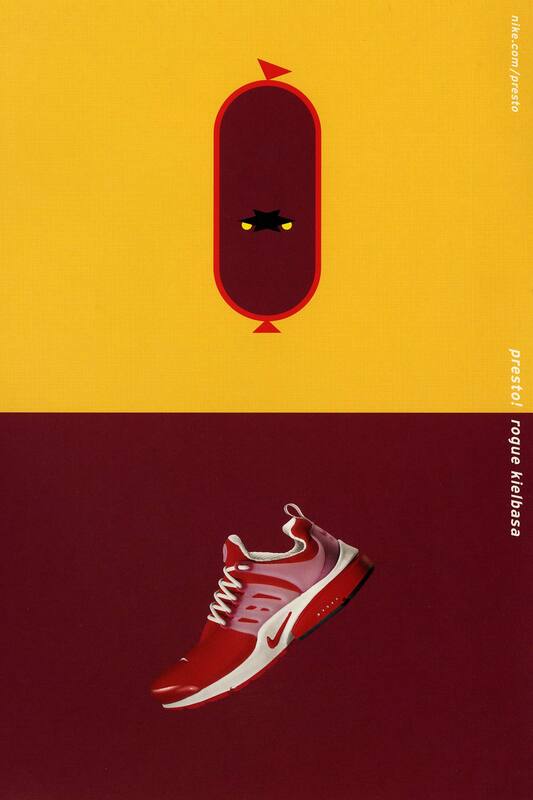 Originally introduced as 'a T-shirt for your feet', the Air Presto took the world by storm in the early 2000s. The silhouette's debut consisted of 12 different iterations, each applying a character and personality to a corresponding colourway. 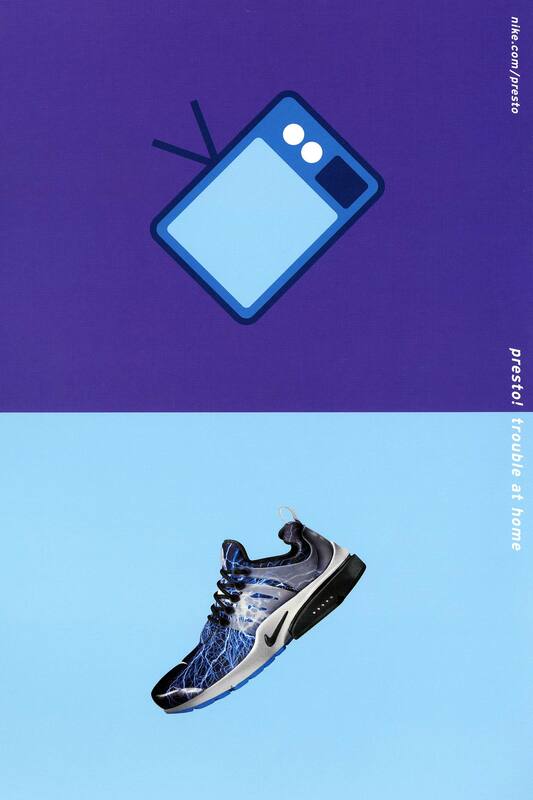 The colourways came to life thanks to print ads and a series of TV spots that further established the unique personalities of Presto. 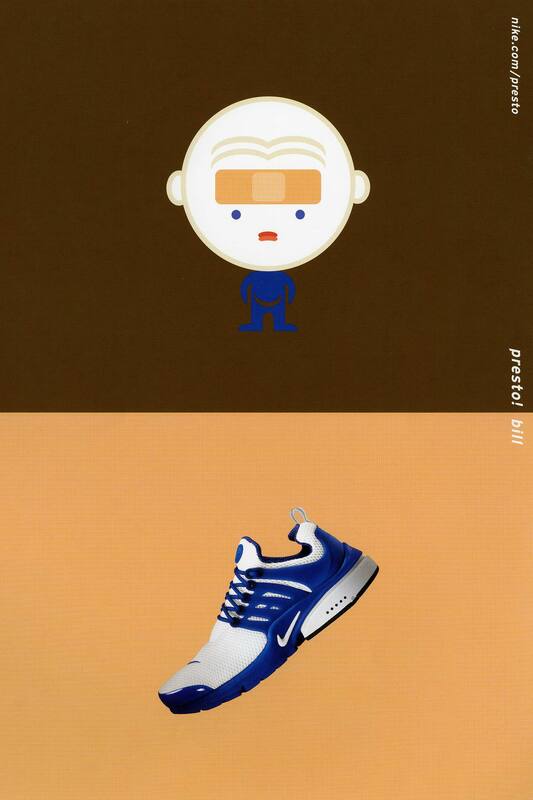 The ads also provided a glimpse into the future of sneaker culture, making the Air Presto one of the first styles introduced with a 'nickname' that helped bring it to life. 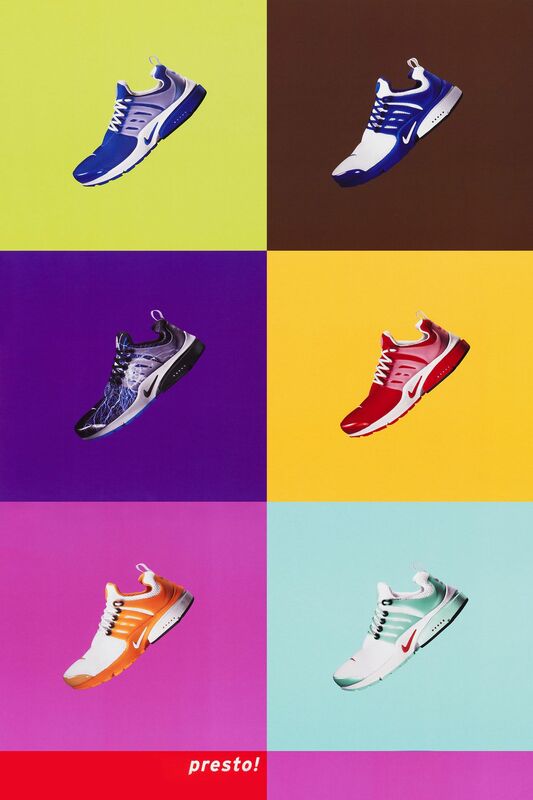 In addition, the Air Presto helped establish a minimal design language that is still strong in both performance and lifestyle footwear today. Something seems fishy. 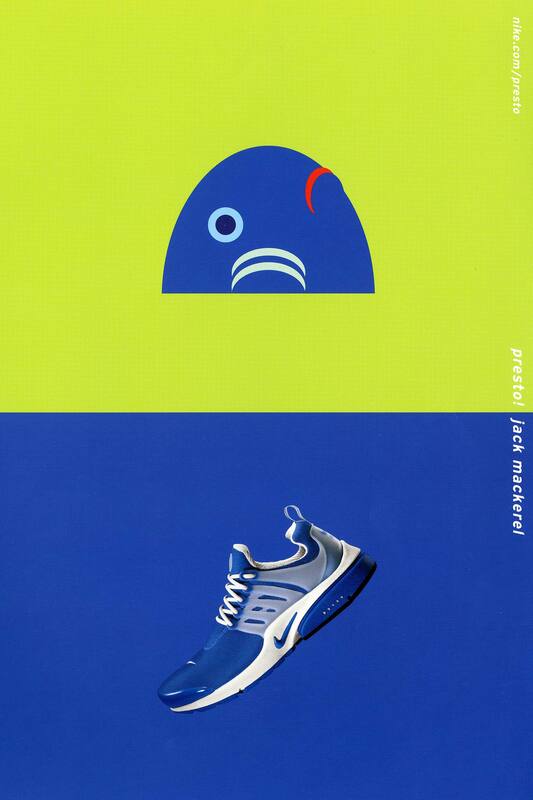 The 'Jack Mackerel' Air Presto. Keep away from doors and windows, and don't break anything! The 'Trouble at Home' Air Presto. Orange tones for tradition. 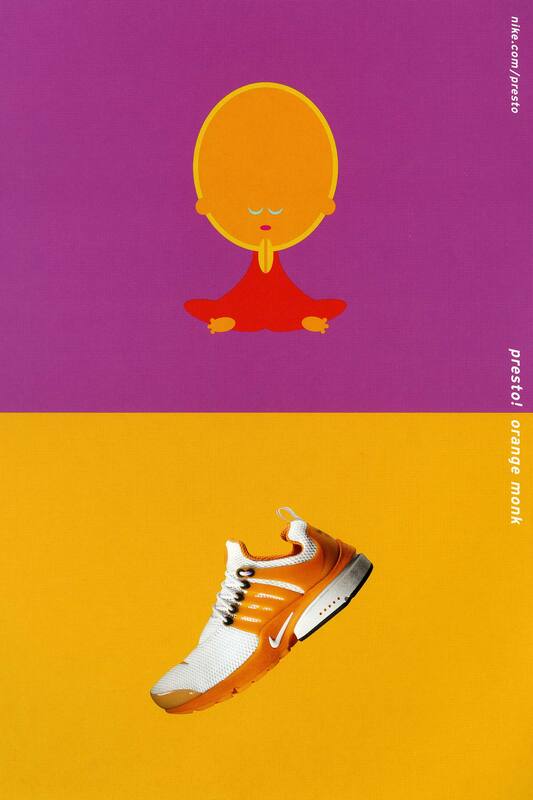 The 'Orange Monk' Air Presto. Bowerman Knows. The 'Bill' Air Presto. Polish cuisine inspires the 'Rogue Kielbasa' Air Presto. Clouds, clouds everywhere. 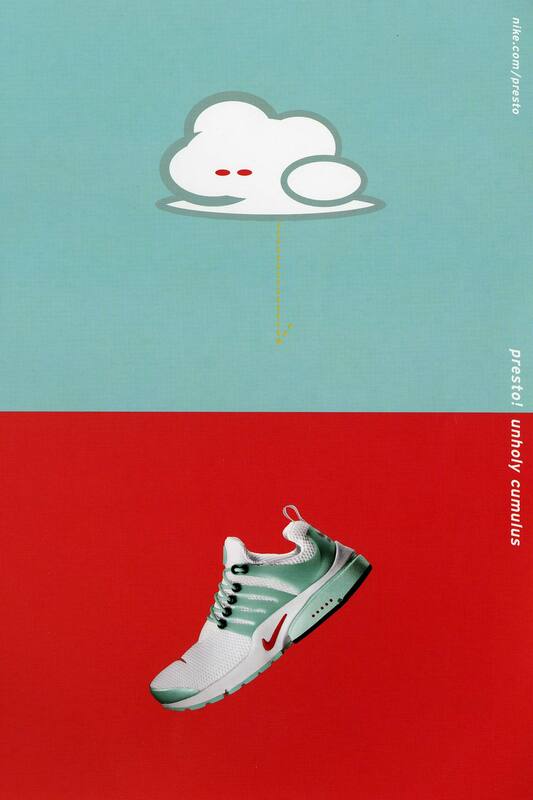 The 'Unholy Cumulus' Air Presto.